Happy Valley is an ancient wooded river valley with grassy flood plains; described as a hidden urban oasis where anyone can have a peaceful walk and enjoy their natural heritage. We think the name originates from the late 1800’s early 1900’s. In this period many valleys, up and down the country, were named “Happy”. Like most of the other Happy Valleys, our valley was where people enjoyed happy picnics, away from their jobs in the mills or the local hall. 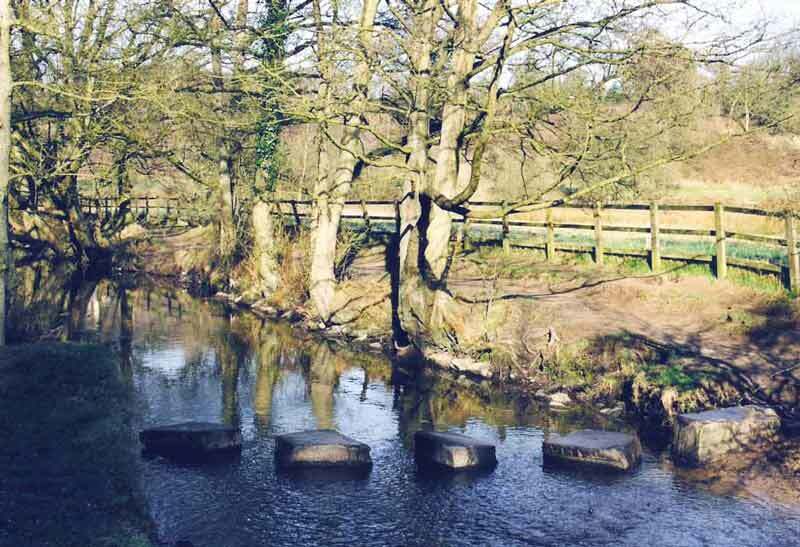 In 1999, Happy Valley became one of Stockport’s first Local Nature Reserves and is part of the Ladybrook Valley Interest Trail. It is a 17-hectare valley, where the Ladybrook river ripples through the steep sloping hillsides of the ancient Great Reddish Woods and continues on, meandering past grassy fields dotted with wildflowers. In Great Reddish Woods you will see the season’s palette of colours, from spring’s fresh greens and yellows, nature’s array of summer colours, through to autumn’s hues of gold and copper and the greys and blacks of winter.